A year after claims of sexual assault and harassment rocked the U.N. agency that fights HIV, UNAIDS looked like it might be on the mend. The top deputy facing the allegations had departed, the leader who presided over the troubled institution announced plans to bow out early and managers vowed to correct the “toxic” atmosphere identified in a scathing probe. “She is unaware, and has not been advised, of any such investigation and denies any assertion of impropriety,” Flaherty said. The ongoing turmoil is a damaging distraction for an agency at the center of multibillion-dollar, taxpayer-funded U.N. efforts to end the global AIDS epidemic by 2030. Among its crucial jobs, UNAIDS collects data, helps shape national AIDS policies and delivers life-saving medicines to treat a virus that affects more than 37 million people worldwide and still kills more than 900,000 people a year. The allegations of sexual assault and managerial mismanagement in the aftermath of the complaints lodged by Brostrom, who is Swedish, prompted Sweden to announce last year it would suspend its funding to the agency. The Scandinavian country is UNAIDS’ No. 2 donor, providing more than $30 million in 2017. Brostrom’s complaint against Loures prompted two inquiries — a U.N. investigation that concluded there was insufficient evidence to support her claims and an independent assessment of the agency’s management that found a culture of impunity and “defective leadership.” Amid the resulting criticism, Sidibe announced he would step down in June, six months before the end of his term. Loures, who denied the charges, left after his contract expired last March. Brostrom, who some credited with sparking a #MeToo movement at the U.N., told Sidibe in November 2016 that her work environment became increasingly fraught immediately after the alleged assault by Loures. “LL started to explicitly block my work, excluded me from participation in key meetings in areas in which I was leading and blocked my requests for duty travel,” she wrote in an email that was provided to the AP. She said she became “the victim of a malicious and anonymous defamation campaign in early 2016” and that Loures reprimanded her and reassigned her to an unfavorable post. According to internal documents reviewed by the AP, the U.N. ethics office and other senior UNAIDS officials received a series of anonymous emails in early 2016 alleging misconduct by Brostrom’s former supervisor, prompting the preliminary internal review that ultimately grew to include an examination of Brostrom’s own conduct. When Brostrom went public with her story, two other women described similar encounters with Loures. Brostrom and her former male supervisor are both currently on leave from UNAIDS for undisclosed reasons. The WHO investigation into the pair remains preliminary, and they still could be cleared of any misconduct. In one confidential memo provided to the AP, WHO investigators said they found evidence that Brostrom and her ex-boss “may have engaged in unprofessional conduct,” including the misuse of funds. The two were reproached for “abusing U.N. privileges by requesting special U.N. rates when booking hotels for the purpose of having sexual encounters.” The preliminary review found one instance where Brostrom and her colleague apparently instructed hotel management “to forge an invoice” to claim their personal costs were business-related, the memo said. The lingering inquiries mean UNAIDS’ new leader will undoubtedly inherit still-unfinished business that casts a shadow over donor support. 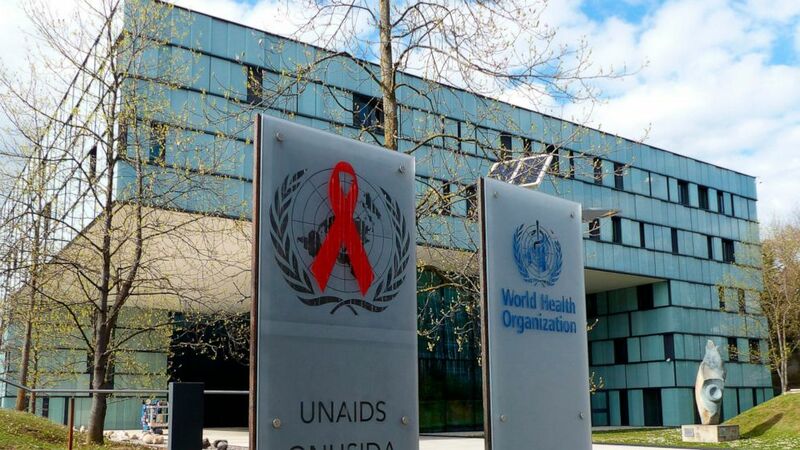 “For Sweden to regain confidence in UNAIDS and provide our core support, UNAIDS must make the necessary change to modify its organizational culture and improve its handling of harassment, including sexual harassment,” spokeswoman Diana Qudhaib said in an email.